Although the number of new Single Family Home listings was the same for May, 2016 as appeared on the market during May, 2015; overall inventory dropped by 37.9% and sales prices sky-rocketed with median sales price rising by 27% and average sales prices rising by 16.2%. 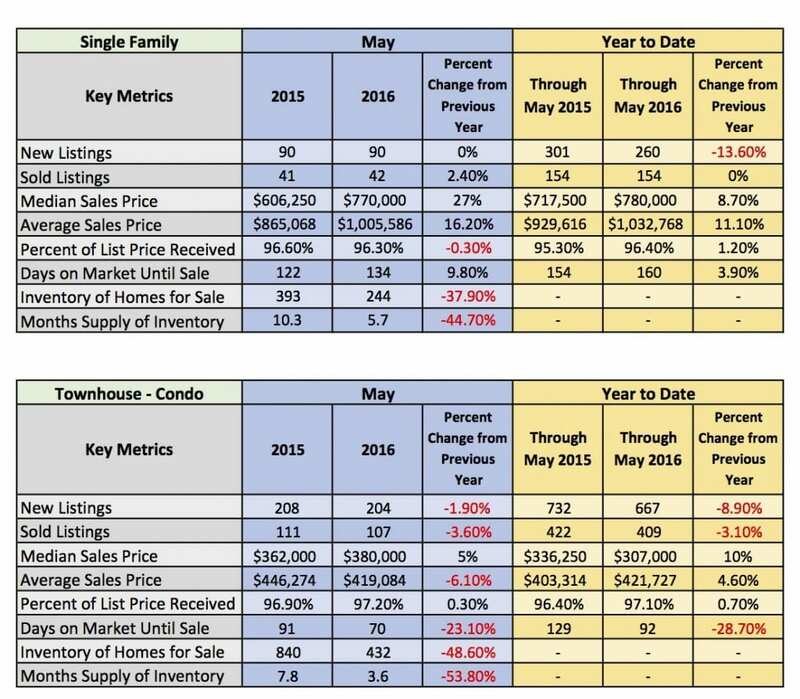 Similarly, the inventory for townhomes and condos on the market during May, 2016 dropped by 48.6% from the previous May. Despite an inventory hovering around 50% of what had been available in 2015, townhomes and condos are selling 23.1% sooner than they did last May with a 5% higher median sales price.